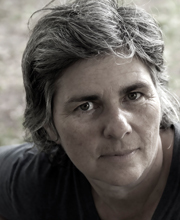 The influence and inspiration of the natural world is a regular theme in Helen Humphreys’ novels, from overgrown flora and untamed places in The Lost Garden and Wild Dogs, birdsong in The Evening Chorus, and rare apples in The Ghost Orchard. Her latest novel, Machine Without Horses takes readers to the hillsides of northern Scotland where an eccentric salmon-fly maker plies her craft in a small red-and-white cottage in the village of Kintradwell. The book, inspired by a randomly discovered obituary, depicts the real and imagined life of Megan Boyd, and acclaimed but reclusive artisan. It is also a meditation on the secrets and passions that ripple below the surface of a seemingly simple life. Helen’s previous works have won or been nominated for numerous awards including the Trillium Book Award, the Rogers Writers’ Trust Prize for fiction, the Toronto Book Award, the Governor General’s Award, and the Harbourfront Festival Prize for literary excellence, and have been named as a Globe and Mail Best Book, and New York Times Editors’ Choice. She is currently serving a four-year term as Kingston’s poet laureate. Born in Kingston-on-Thames, England, Helen has lived in Kingston for nineteen years, and has a riverside country property near Bellrock.